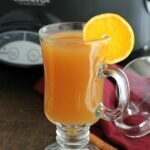 Slow Cooker Apple Cider. 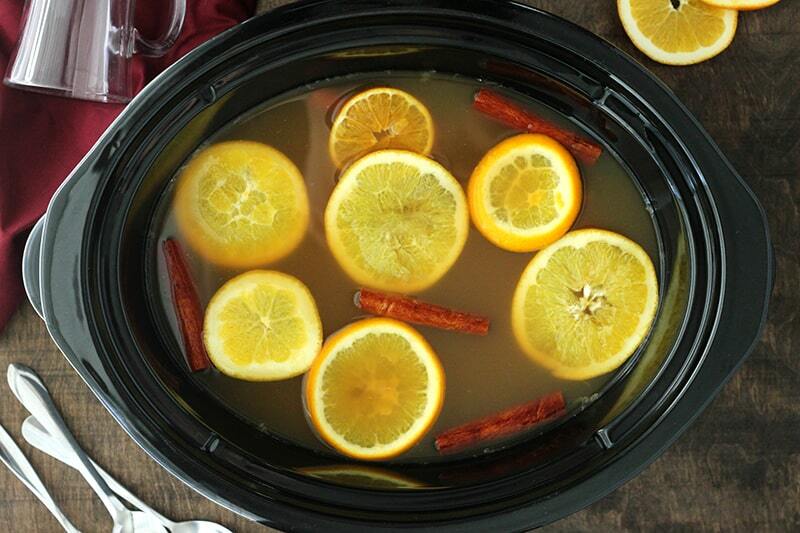 Apple cider, cinnamon sticks, orange slices, and cloves simmer slowly making the perfect fall drink recipe. 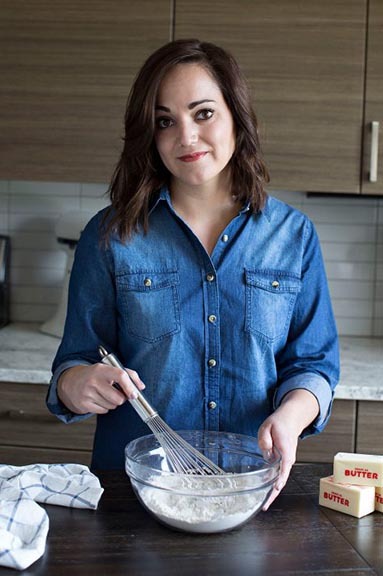 Have you ever found a recipe that is so delicious that you make it 10 times in a month. Until one day your husband caves and begs you to slow down? THIS apple cider is it. It’s my new go-to for curing a case of the winter blues and has quickly become a favorite for my picky eight year old. 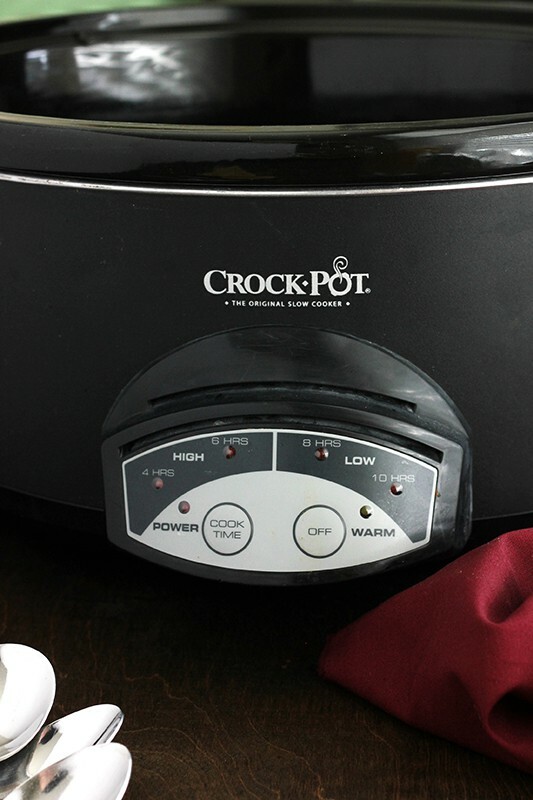 Heating this all-day-long in a slow cooker is beyond genius. It takes less than five minutes to put together with minimal ingredients (WIN!) and is the perfect way to treat yourself. The smell of apple spice with a hint of citrus fills every nook and cranny of our home making it impossible to escape. Curling up on the couch in your favorite flannel pajamas while sipping a glass is mandatory! Like this recipe? You will love my Christmas Cocoa, Spicy Hot Chocolate, and Gingerbread Latte! The secret here is to use your favorite store bought cider. We are going to kick it up a notch with the addition of a few flavorful spices and a dash of orange. I know, I know… It’s almost like a cheat recipe or kitchen hack. I promise it’s well worth it. Make sure you give yourself plenty of time to get things heated if you plan to take this to family parties this holiday season. You should heat on high for a minimum of two hours to give all of the flavors enough time to blend together. Switch things over to low (or the warm setting if you’ve got it) and let everyone enjoy a glass or two! Easy peasy. 1 – Not a fan of orange? Skip it. We love the additional flavor punch it brings but I’m sure it would be just as good without. 2 – Add extra cheer with your favorite alcohol. We’re fans of bourbon or rum. 3- Be prepared to run out faster than you expect. Combine the cloves and allspice into a coffee filter. Pull up the sides and tie closed with kitchen twine. 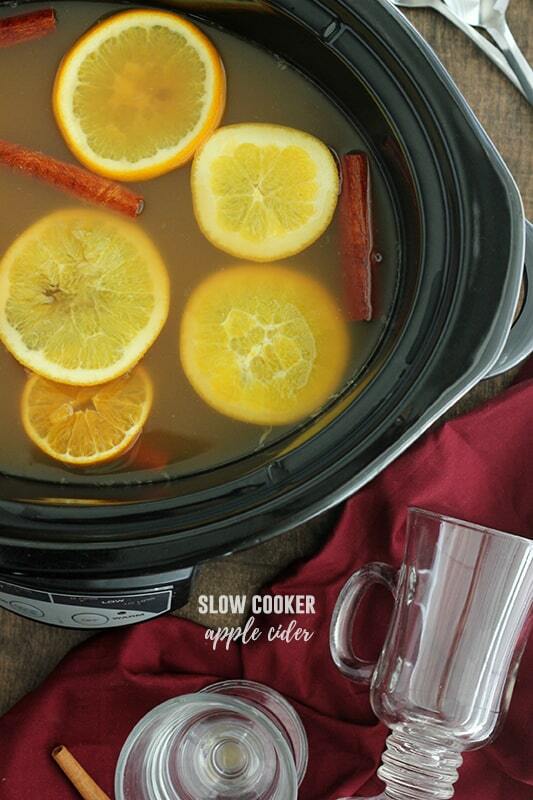 Stir your cider and brown sugar in a large slow cooker. Add the spice filled coffee filter, cinnamon sticks, and orange slices. Heat on high for two hours. Switch your slow cooker to the warm setting and enjoy!